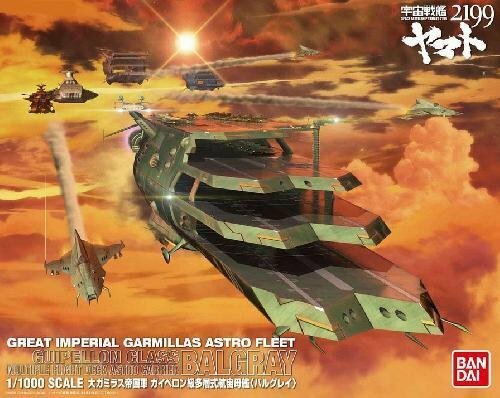 Guipellon Class Multiple Flight Deck Astro Carrier Balgray plastic model kit by Bandai Hobby. 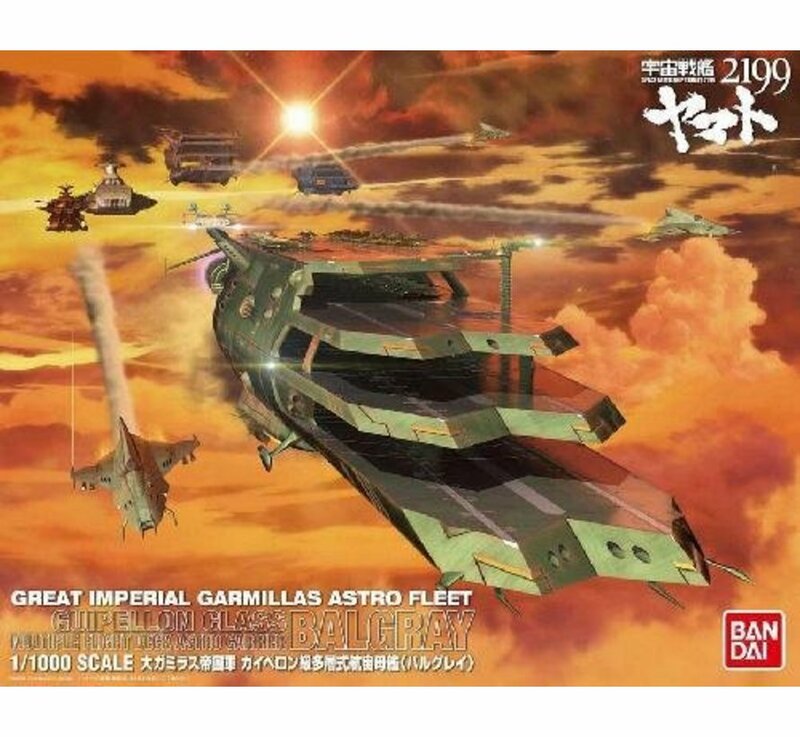 - Multi-layer aircraft carrier Yamato Plastic fan expectation, kit decision finally! - I reproduce the configuration through the different shapes of each can. - Blast deflector flight deck is movable. 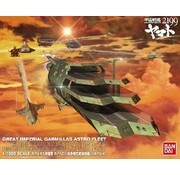 - Carrier-based aircraft of each comes with 21 each machine at the same scale. I mounted the space carrier-based fighter Debakke.